I recommend 'The Definitive Guide To Position Sizing' as a trading book for everyone who wants to know how to meet their objectives trading in the financial markets. Trading success is about far more than just entries and exits - Position Sizing is one of the key drivers of success and Van Tharp is an authority in this area. It is one of a few very outstanding trading books that any serious system trader should have read. 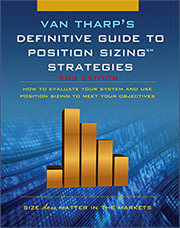 Overall this trading book is well worth reading - Van Tharp is a distinct authority in this area, there is no better source than this book or one of Van's workshops to learn about position sizing and its importance. 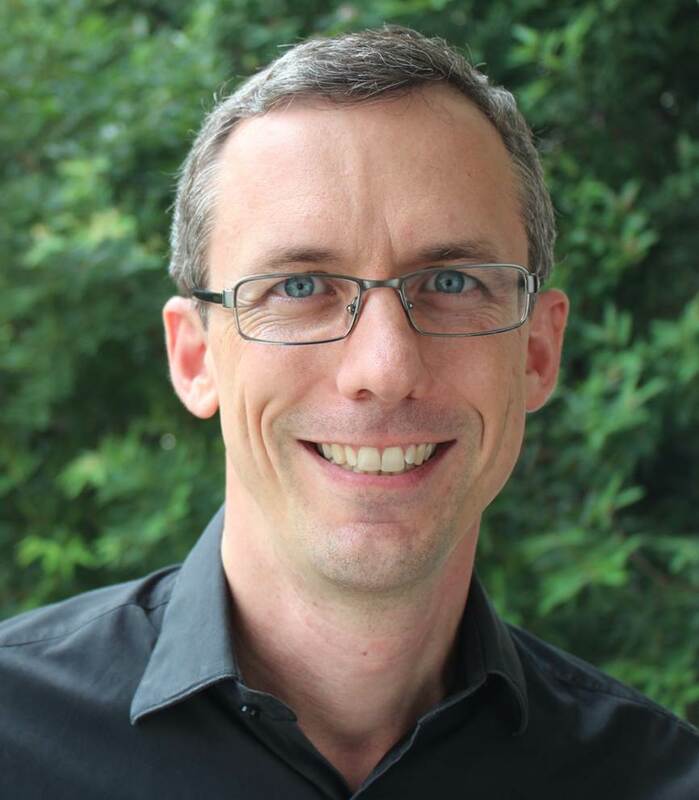 Hi, it's Adrian from Trading System Life and today's trading book review is about Van Tharp's Definitive Guide to Position Sizing. Now Van Tharp is absolutely an authority in the area of position sizing. He's probably written more on position sizing and using position sizing to meet your objectives in trading than pretty much any other author. He sets the scene right up front. On the cover of the book he says, size does matter in the market and it's absolutely right. Position sizing is probably the single most important topic for any trader to get their head across if they want to be sustainable and if they want to meet their trading objectives. This book promised to be a really fantastic resource and I absolutely wasn't disappointed with it. What's really great about the Definitive Guide to Position Sizing is that it's exactly that. It's a definitive guide. The book covers position sizing and that's it. There's no other guff, it doesn't try to be all things to all people. It talks about a whole range of position sizing models, gives the advantages and the disadvantages of each one and it talks about how to use position sizing in order to meet the objectives that you've got for your trading. The real trick is that you have to be absolutely clear on what your trading objectives are, so that you can then take the models that Van gives you and build them into your trading in a way that allows you to meet those objectives. If you're not clear on exactly what it is you're trying to achieve, then no amount of reading can help you. So as always, we start by writing our objectives, being crystal clear on what it is we want to achieve and what we want to avoid in the markets. Then we take these models that are presented in the book and use them to adjust and customize the way you size each of your positions, how much you risk on each trade in order to really meet those objectives. Once you do that, trading becomes a really powerful mechanism because you've got a trading system that works, you've got your objectives clear and you've got a position sizing model that works with both the trading system and your personal objectives to give you exactly what you want in the markets. That's just what we need. The book does a really great job of explaining several different position sizing models that you can use and also a number of position sizing models that you really should avoid. Probably one thing which is missing for me, though, is some concrete tangible examples of how to take those models and build them into different types of trading systems. You can figure this stuff out for yourself, so it's not the end of the world, but I just think that small addition probably would have taken the book to that next level where traders could really take action on the advice. One insight that I did get from the book that which was really interesting came from a discussion about which position sizing models we should avoid as traders. Now what was really interesting for me was, several of them I had heard of but hadn't seen a really good discussion of the down side, the real riskiness of those models anywhere else. When I read it, it was like light bulbs going off, because a couple of those models I had felt uncomfortable with when I read about them from other books, but couldn't quite put my finger on why. Some of them were a little bit complicated, but they were coming from credible sources - from really famous traders, but they just didn't sit well with me. When I read this section of the book, it crystallized exactly what the problems were with those models and really gave me a good understanding of what makes a good position sizing model, which put me in a great position for when I went back to the other models which the book advocates, so I could choose the ones that best fit me, that also had the combination of advantages and disadvantages that I really wanted. This book is absolutely best for people who have already come to the realization that trading successfully is about far more than just entering and exiting the market. There's a lot more to it than just that and probably one of the most important topics is exactly what this book's about, which is position sizing. Position sizing is about how much you risk on each and every trade and how much risk over all you take to make sure that your portfolio and your trading systems can meet the objectives that you set out for yourself. I gave this book four out of five. I fully recommend it. It is not going to give you everything about trading, it's not an all-encompassing trading bible, but it does give you pretty much everything you need to know about position sizing, which is one of the most critical topics to get across. 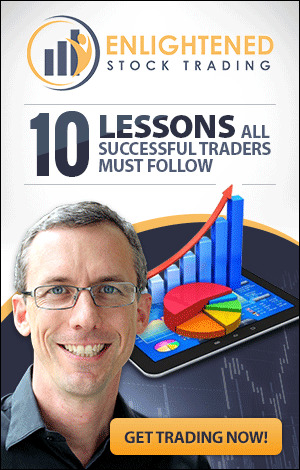 Finally, if you haven't already, please click on the link below and download my free special report on my top ten lessons that I learned when I was reading 150 trading books. If you're making any of the classic mistakes, doing any of the things that I did when I started, that special report alone could save you years of your learning curve and thousands and thousands of dollars. Have a read of the free report quickly before you do anything else. Also, please leave me a comment below. If you have any questions about this video or anything else, ask me there and I'll do my best to get back to you personally. In the meantime, bye for now.